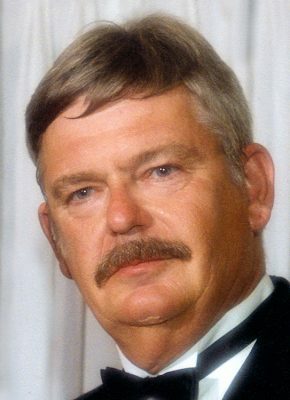 Mike Kenton, owner of Environmental Equities, died in 2009. He left us all a legacy of conservation and love of native plants. Memorial for Mike, printed in 2009-10 Native Plant & Service Directory, when “FANN” still went by “AFNN”. AFNN mourns the loss of a very special and long-time member, Mike Kenton, who bravely battled brain cancer for the past few years. A Director on our Board for the past several years, Mike was the owner of Environmental Equities, a Hudson (Pasco County) nursery that grew hundreds of species and was a favorite of native plant enthusiasts statewide since 1986. Mike had a vast knowledge of our native flora and will be fondly remembered as a mentor and leader who fearlessly embraced the challenges of growing our most rare and endangered species. He focused on variety of species, not just quantity of bestsellers, and loved teaching customers about each and every plant. Mike was an enthusiastic and creative force for preserving Real Florida in many communities. From college he went to work in reforestation and then in 1971, became the City of Clearwater’s Urban Forester, later rising through the ranks to become the Director of Public Works. Mike’s leadership was instrumental in getting the city to support two ecologically important projects, Moccasin Lake Park and Cooper’s Point Nature Park. Some say that any tree canopy left in Clearwater was probably preserved thanks to the efforts of Mike Kenton. Mike later worked as the Environmental Biologist with Pasco County, leading the Street Tree Program, mitigation site development, preservation, monitoring and enforcement. Mike later became the Manatee County Forester, designing and implementing award-winning beautification projects for county entrance ways, city byways and highway and mainstreet medians. And as if working a full-time day job and running his own nursery weren’t enough, Mike somehow found time to be a leader with the Florida Native Plant Society, participating in their annual conference and serving as the Landscape Awards Chair for several years. Environmental Equities supported numerous plant sales conducted by FNPS and its local chapters. Big Mike was a fun lover and important part of any AFNN member gatherings. In his private life, Mike loved dancing, boating, fishing, golfing, learning to fly an airplane in his fifties, traveling the country with his wife Judy in their RV, and becoming a New York Times crossword puzzle expert. Mike is survived by six children and ten grandchildren. AFNN thanks Mike’s wife, Judy, for her steadfast loving support of Mike. And to Mike’s mother, Mary Kenton, still living in Orlando, we thank you for bringing this fun, generous, and great man into our world. And for another loving tribute to Mike, check out the write-up by Craig Huegel in this issue of the Understory, newsletter of the Pinellas Chapter Florida Native Plant Society. “When I became an environmental consultant full-time in 1987 there was a dearth of available native plants for purchase – my recollection at that time was that Brightman Logan’s Central Florida Native Flora was the only source on the west coast, and those were only the most common species at the time. Most of the rare and “not so common” native plants we obtained at that time came from Salter Tree Farm in Madison near the Georgia state line. Specifying a diversity of native plants in restoration projects was futile, therefore I began to propagate plants in my back yard in a Clearwater subdivision mostly from stock obtained from Salter (we still have parent plants today from this stock). Pretty soon I had to find space for this expanding hobby which ultimately led me to three other sites before finally landing on a blueberry farm in Hudson where I moved in 1990. By this time the hobby became a business and challenge to try to propagate just about everything native to the state. Today we have over 400 Fla. native species for sale at Environmental Equities, Inc.
“The progress in the “availability” of native plants has been the most significant change since the 1980’s thanks mostly to AFNN. Today you can go to the web site and find almost anything within a reasonable travel time. For years all we heard was that nobody could find native plants; that is true only if you are limited to nearby Home Depot stores or typical ornamental nurseries. There is now an abundance of native plant nurseries throughout the state from Santa Rosa county to the Keys. Individual AFNN nurseries refer customers to each other and FNPS raffles and plant sales offer great varieties of plants at reasonable prices. And now the AFNN Locator lists 35 retail nurseries throughout the State for homeowners and small businesses – this was almost unheard of in the 1980’s. Trade shows and expos are now frequented by larger individual native plant nurseries and AFNN.